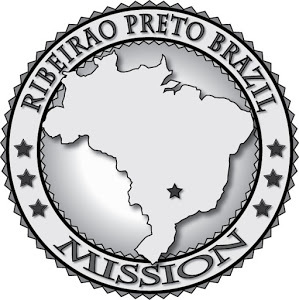 Life of an LDS missionary in the Brazil Ribeirao Preto mission. At least, i think it's semana 11. Time is kind of irrelevant here. Today i'm writing from Araçatuba because we had zone conference yesterday. So we bussed to araçatuba and spent the night, then to Rio preto, then back and tonight we'll go to Três lagoas, and then next week we have zone meeting in araçatuba, and then the next week we'll make the 10 hour trip to Ribeirão Preto for transfers. Awesome. Zone conference was cool though. I got to meet lots of new missionaries and the mission president and his wife gave awesome talks. Oh that's another thing, we also just had interviews with the mission president in Andradina. Basically we haven't been home in a week, and i'm a little scared to return and find out i forgot a steak out on the counter or something and now there's a jaguar in my house. It'd be just my luck. But back to zone conference. We talked a lot about how we can help our investigators, and where we usualy fall short in getting them where they need to be. We also talked about repentance, and how it means change, and we often confuse it with suffering. The point was that suffering comes from a lack of repentace, because the suffering has already been suffered. By Christ, ya know? We also learned that faith grows through sacrifice (see luke 17:5-10 it's good). This is kind of tough cause let's be honest, who wants to sacrifice? It's god though, and we learn to love people through it, and i'e found i'm often happier after i've served someone or sacrificed for others. Especially my companion. Next time someone asks something of you or you see a need, try to fill it and see what happens. Last week we also had divisions with our district leader and his companion. That means i got paired with Elder Sant, another American who only arrived 6 weeks before me. And we took on Três Lagoas. Just kidding, we just taught a lesson. But it was the Plan of salvation, which if you didn't know is the most complex and can bring up the most concerns. But we taught the whole thing in Portuguese and could understand everything our investigator, André, said or asked. It was amazing. Definitely chalk it up to the gift of tongues cause 5 minutes before when i asked some guy on the road the name of the street i couldn't understand anything he said haha. Ever since that lessn though, it's like something clicked with the language and i'ts improved a lot. An elder even told me at zone conference that he thought i was brasileiro when he heard me spoke cause i spoke sem sotaque (without an accent). Honestly it depends on the day but i'm feeling pretty good about it. Still praying for that gift of tongues every day though. I guess last week was thanksgiving? I had a turkey sandwhich, so that counts. One thing i have been quite disappointed with is the lack of cherished american christmas traditions here. I shouldnt be surprised though, but i did have to explain the story of rudolph the red nosed reindeer the other day. And the names of all the other reindeer, cause that's simply not a thing here. Otherwise, i'm surviving in the ever increasing heat here. I think the rain keeps it a little cooler, cause it goes 0-hurricane in 10 seconds here just about every day. Once we were walking and we passed a store with open doors and i thought i felt the air conditioning from inside, but then a half a block later i still felt 20 degrees cooler, and it turned out it was just from the approaching storm. The weather is awesome here.